From the front door of the Fass family home in Mamaroneck, N.Y., one can look east, toward London, where Anne and David Fass P’17 spend the majority of their time. From the back of the house, one looks west, to the northeastern United States, where the Fasses’ daughters have attended college. It can be hard to keep up, but London, New York . . . who’s counting? 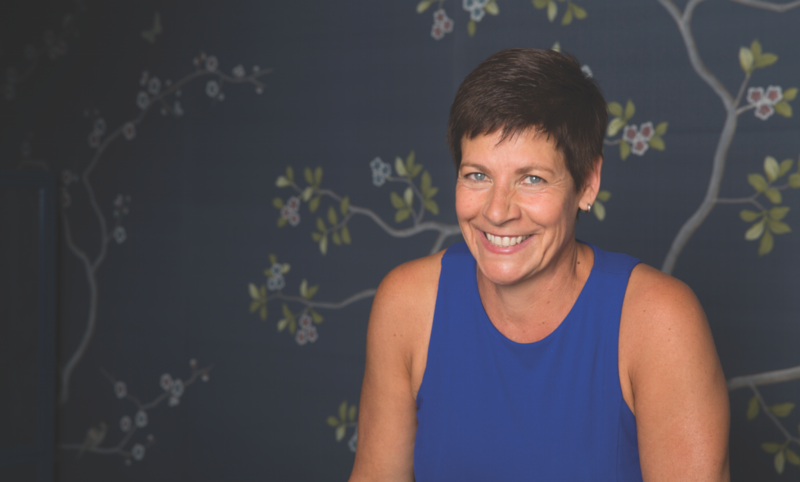 Anne Fass is counting -- not the miles, but the people she’s met and inspired on both sides of the Atlantic in the course of serving as an F&M trustee and spearheading the London Regional Chapter’s launch. She loves to name names: Lynn Greenberg ’14 -- “a cool young alumna who’s developing an app called Pivt” -- and who played a key role in invigorating the London alumni chapter before moving back to the U.S. Before long, others follow: Xenia Sarri ’03 and George Stamboulis ’06, who serve on the London Regional Chapter Council; government professors Stephen Medvic and Jennifer Kibbe, who made it to London recently to speak; Sam ’93 and Bhavaya Arora; Anu Munshi ’97; Becca Davis ’16; and more. Fass loves to bridge gaps. An adolescent psychodynamic psychotherapist, she works with vulnerable young people in schools and community centers across London. 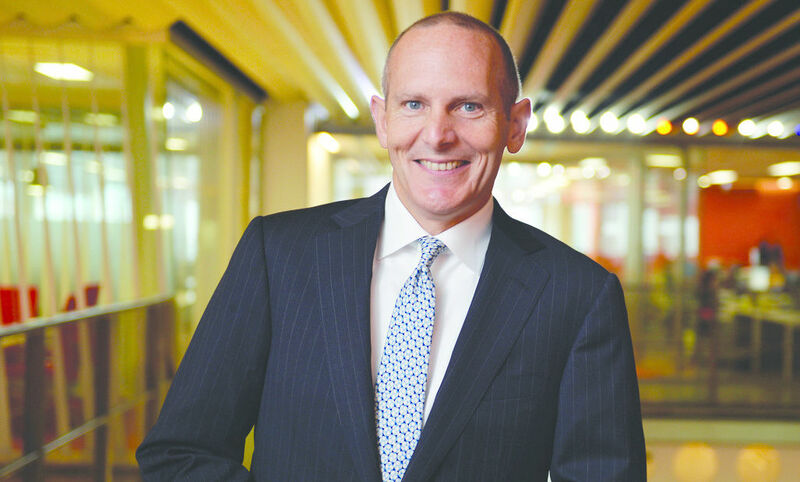 Her husband David’s career -- he’s CEO of Macquarie Group Limited, Europe -- took them across the Atlantic years ago, but when it was time for her daughters to choose colleges, they looked to the States. Anne and David didn’t want to miss an opportunity to introduce their children to the American college experience -- or to introduce F&M to the international community. Why? “I love to bring people together,” said Anne. “The F&M community in London is friendly, open, interested, engaging. Once I tapped them on the shoulder, it was like they’d been waiting for a vehicle to find out what’s new. They were ready to be engaged.” What followed was a series of gatherings -- quiz nights in a local pub, gatherings at the Fasses’ home in Notting Hill, events with President Dan Porterfield, a wine tasting -- that have convened alumni, parents, and F&M students studying abroad. Among some, the growth of community spurred additional interest in mentoring students, helping them network, and more. The Fasses’ daughter, Sydney, graduated in May and now works for Americorps City Year program. What’s next for Anne and David? Certainly not letting the progress they’ve made languish. Anne pledges to continue identifying alumni who can carry on what she and David have begun. 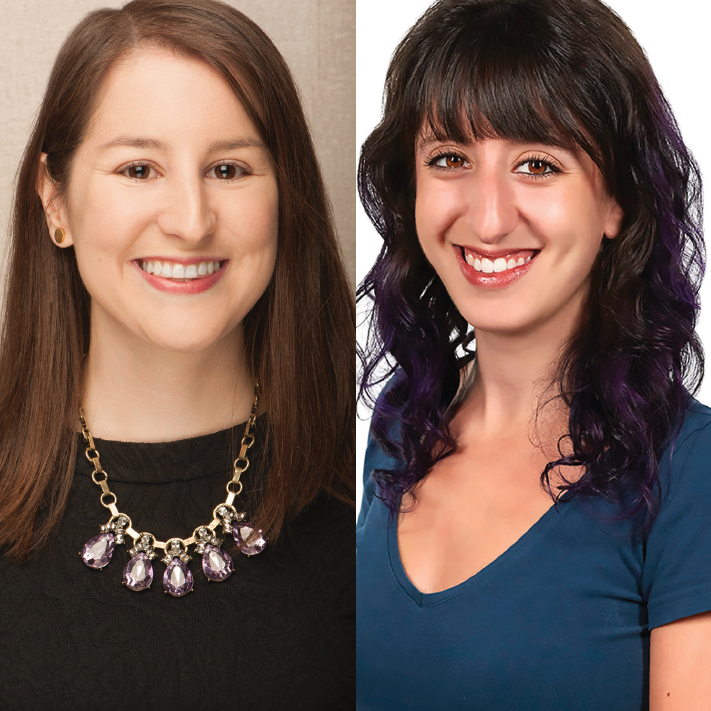 For Alysse Vaccaro Szur ’11 (left) and Caralyn Reiff ’13 being F&M alumnae means being part of something bigger than themselves -- sharing a connection with thousands of F&M graduates who help each other and make a difference. “I’m so proud to call myself a member of a group that is so devoted to each other and to the greater world,” Reiff said. The New York City Chapter has strength in its numbers, but that would mean nothing without the energy and devotion of its leaders and members. Szur chairs the chapter, and Reiff is vice chair. They are among the army of volunteers who work with College staff to plan engaging social and community events for regional alumni, parents and friends around the country. For Szur and Reiff, many of those events have been memorable; they’ve improvised on the fly to hold a toast for new alumni during a hurricane, and they’ve helped organize a presidential election forum for more than 500 people. As Szur and Reiff continue to devote time to chapter events, they marvel at the diversity and energy of the alumni base in New York City. 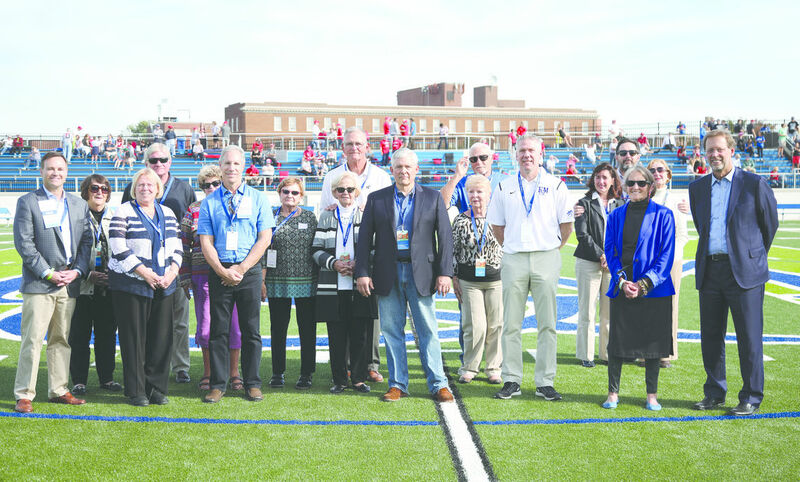 Without the volunteerism of F&M alumni, Shadek Stadium’s October dedication may never have occurred. Hundreds of donors stepped up, funding the majority of the stadium’s construction and honoring legendary coaches and Diplomat athletics through their philanthropy. Volunteers played an essential role in inspiring this support, and the Franklin & Marshall College Alumni Association honored four this fall for their efforts. Matt DesChamps ’93, whose indefatigable leadership was the driving force behind much of the successful fundraising for Shadek Stadium, received the Alumni Development Volunteer Award. In addition to his work as an F&M Trustee and on the Shadek Stadium steering committee, DesChamps catalyzed efforts to honor coaches Tom Gilburg, Al Brooks and Glenn Adamire, personally enlisting the support of dozens of his teammates and fellow Diplomat football alumni. Theodore C. D’Amico ’76, P’15, Michael Edward Urio, CPA ’76, and Thomas R. Westphal, M.D. ’75 also received the Alumni Development Volunteer Award. Together, they led a committee of 1970s alumni that raised $500,000 for the naming of the press box in Shadek Stadium in honor of former football coach Robert D. Curtis. For more about Shadek Stadium, visit this page.